Keeping your vehicle in the best shape possible is the best way to get the most miles out of it. Federal Way Automotive & Radiator offers preventative car maintenance Fife to help you stay safe, get the highest fuel efficiency, and elongate the life of your car. Our ASE certified mechanics go through a comprehensive multi-point check to inspect your vehicle for signs of wear. We catch things before they become a major breakdown. Bring your car to us for regular car maintenance and tune ups near Fife, and let us improve your driving experience. If we do find concerns that need auto repair, we offer you a written report and go over this information with you before doing any auto repairs. Our technicians are friendly and knowledgeable. They will talk with you, not throw shop-talk at you. 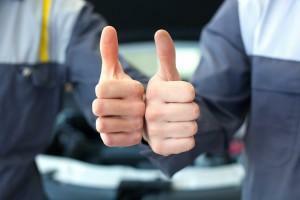 We want you to feel solid in your understanding of your vehicle and the repairs it needs. All our estimates are transparent and upfront, so you can make an informed decision. All our parts and labor are backed by a 12 month/12,000 mile warranty! Our technicians help you stay current on manufacturer’s recommended services. We keep track so you don’t have to. From regular oil changes to replacing timing belts, and much, much more, we provide you with the services you need to keep your car maintenance up to date. We keep your tire air pressure correct, your oil changed, and everything lubricated. We look for areas of excessive wear and make suggestions for replacement parts before you wind up with a problem. As a locally-owned business Fife, WA, we all share the same roads. We are invested in a safe community and so we extend our quality excellence in everything we do. We use only those parts from the most reputable manufacturers and we hire technicians who are certified, experienced and very well educated. We stay current on the latest advancements and have state-of-the-art technology in our shop for diagnostics and a variety of car maintenance services. Those are just some of the ways we deliver the best to our Fife, WA customers. Check out what people are saying about us in online reviews. 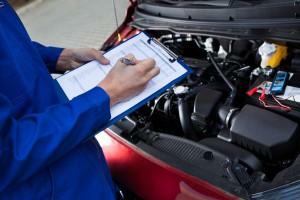 You will see that our devotion to excellent customer care and car maintenance shines through. We also maintain an A+ rating with the BBB. Ask us for references, we are happy to oblige! Your car is an investment. Take the time to bring it in for quality car maintenance near Fife, WA and take get the most out of that investment. Contact us today for all your car maintenance Fife, WA and stay safe out on the road. 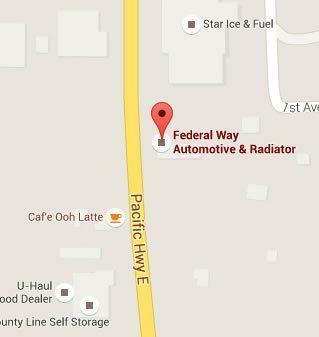 My mom suggested Federal Way auto to me and I’m glad I went. Easy, non stressful experience. Thanks.